Cindy Ryan knows to the day how long it’s been since her life changed thanks to an organ donation, and what that change has allowed her to experience. “My 50th birthday celebrated in hospital and a few more since. My daughter becoming vice-principal. My son graduating from St. F.X. My step-daughter becoming a nurse. My grandson starting high school. The Westville, N.S., resident was hospitalized in 2013 with a virus that attacked her liver in 2013. While in a coma and when her family was told her had four weeks to live, she “hit the lottery” and received a liver transplant. Complications meant she needed another in 2015. Ryan was on hand Tuesday as Nova Scotia Premier Stephen McNeil tabled legislation that will make the province the first jurisdiction to have presumed consent for organ and tissue donation in North America. People will be able to opt out of donating their organs, but the onus will be on them to do so once the bill is proclaimed. Dr. Stephen Beed, medical director of the province’s Legacy of Life and critical care organ donation program, called Tuesday “a very good day” for the province and his program. The idea for presumed consent started gaining traction almost 15 years ago, he said. Several other countries, including Belgium and Spain, already use the system. The importance of organ donation is driven home when one spends time at the bedside with patients and their families, said Beed. But while the idea has been pursued for some time — and the former NDP government even passed, but did not proclaim a similar bill in 2010 — Beed said it wasn’t until very recently the program was in a position to be able to work toward the change. Even now, he said, work needs to happen before donation opportunities are the same regardless of where a person lives. “I want to be able to say to every Nova Scotian wherever you live that the donation opportunity is going to be the same irrespective of your postal code. I’m not sure we can say that credibly today but I want to be able to say that in 12 months or in 18 months,” he said. Premier Stephen McNeil said the bill responds to a desire within the province, noting Nova Scotia has some of the highest rates of donors in the province. “That doesn’t always translate into the actual act of giving,” he said. McNeil pledged to put the necessary services in place to allow the province’s donor program to live up to the promise of the legislation. “We know that in many parts of our province — including the one I live in, which is a rural part of Nova Scotia — we have work to do,” he said. The bill will not be proclaimed right away. 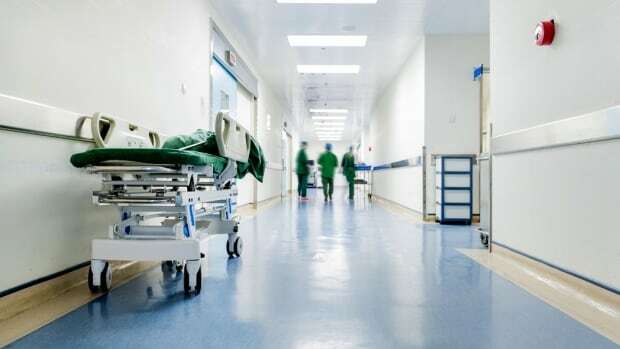 Health Minister Randy Delorey said government officials would spend 12-18 months educating the public about the change and working on getting health-care workers the support they need to enhance the program. Even with the change, Delorey encouraged people to continue making their wishes known to loved ones, so there can be no question about intentions.